Coding boot camps are on the rise, and we see new ones appearing now more than ever. 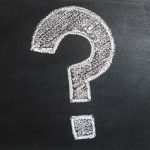 Since they’re relatively new to the educational scene, we’ve put together a list of frequently asked questions for anything you might be curious about. Q: What exactly is a coding boot camp? A: A coding boot camp is essentially a shortened program (typically less than six months) that teaches its students coding fundamentals, and prepares them for a career in web development or other types of programming. Q: Who is an ideal coding boot camp student? A: If you’re a person who has a passion for the technology industry, solving problems, thinking logically and analytically, and are savvy with (or want to become savvy with) computers, a coding boot camp might just be perfect for you. Do a little research about the field prior to starting the application process. You should be sure you’re ready for the field before diving in. 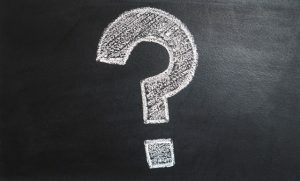 Q: Do I need any general education/college credits to be eligible to apply? A: Coding boot camps typically don’t require you to have a degree to apply. This works out great for high school graduates who are ready to jump right in and start their career, or for people who are stuck in a career they aren’t happy with and want to open up more opportunities. Q: Why do people go to coding boot camps? Can’t they just get a degree in computer science? A: For some, a four-year degree plan isn’t a feasible route to take. 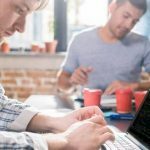 Instead, coding boot camps give people an opportunity to earn professional-level skills in a shorter amount of time, as well as saving them a decent amount of cash. Q: How long does it take to complete a coding boot camp? A: Each boot camp is different, but an average class time can be around 12 weeks for full-time programs, and 24 weeks for part-time. There are programs that are shorter or longer, but it just depends on the curriculum. Q: Can I still work while attending boot camp classes? A: Yes, absolutely—depending on the program you choose. Everyone has obligations and work is no exception. There are part-time programs available with night and weekend classes to help lessen the strain of working and attending the boot camp. But keep in mind that this is an intense field of study, so be sure to leave plenty of time for outside practice and coursework. Q: Do I have to take other college courses along with the coding boot camp? A: Nope. 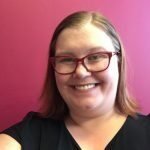 For full-time programs, coding students often quit their jobs to dedicate themselves to the immersive schedule, or jump right into boot camp with only a part-time job. Whether you pursue a full-time or part-time option, boot camps are intensive. It’s important to have strong time management skills and know your limitations when you pursue a degree at the same time as a coding boot camp. Q: What’s the difference between coding boot camp and the free online courses? A: While the online courses can provide you with some great fundamental skills, a coding boot camp allows you to invest in the future of your career with more structure and hands-on guidance. 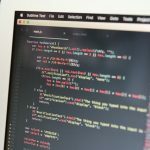 Not everyone can truly master the skills for web development with only online courses, as it requires extra discipline and a specific learning style. Coding boot camps give you the framework for learning to code, practical application through skills-based projects, and with instructors and support staff, you get help every step of the way. In addition, coding boot camps provide invaluable career support to get you ready for the job market. Q: What do I receive at the end of the coding boot camp? A: A coding boot camp is typically a non-credit, non-degree seeking program. Upon graduating from a coding boot camp, you’ll often receive a certificate of completion. If you attend a university-backed boot camp, your certificate will have the added prestige of being a certificate from the university and help you stand out in the job market. Did that help you get some insight into the world of coding boot camps? We hope so! 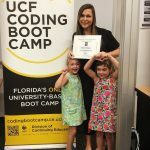 If you’re ready to join a coding boot camp, or have more questions you want answered, visit our FAQ page or contact UCF Coding Boot Camp at (407) 454-9823.